w e at Golden Heart are passionate about caring for frail seniors with complex care needs. It seems that the older and frailer we become, the more vulnerable we are to multiple medical conditions. Our professional care giving team is committed to effective case management for each individual, no matter how complex your loved one’s medical conditions are. Whether your loved one simply needs companion care and transportation support, or is suffering from a degenerative disease, our outstanding Gold Star Caregivers will bring safety and peace of mind to you and your loved one. Our professional staff (Certified Nursing Assistant, Medical Assistant, LPN, RN, etc.) have a broad range of experience and expertise, and will provide excellent care while keeping that watchful eye on any changing medical conditions. 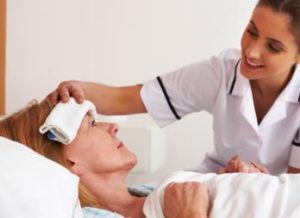 While we are a non-medical service, we enlist the support of medical professionals in exceptional home health or hospice agencies, and liaise with our Clients’ medical practitioners. Our case management approach ensures your loved one is receiving cohesive care from all service providers. We create an environment of empowerment for our frail seniors, and advocate for them to ensure their voice is heard and their needs are met.